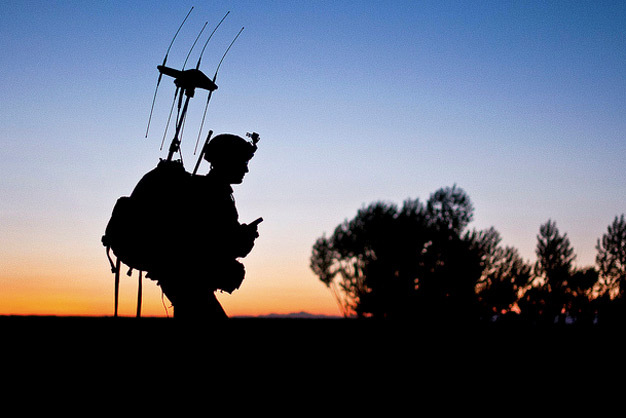 A paratrooper with the 82nd Airborne Division’s 1st Brigade Combat Team passes before the rising sun during a patrol into a village on May 4, 2012 in Ghazni Province, Afghanistan. US Army photo by Sgt. Michael J. MacLeod.